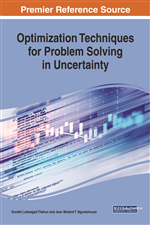 This chapter considers the use of fuzzy dual numbers to model and solve through dynamic programming process mathematical programming problems where uncertainty is present in the parameters of the objective function or of the associated constraints. It is only supposed that the values of the uncertain parameters remain in known real intervals and can be modelled with fuzzy dual numbers. The interest of adopting the fuzzy dual formalism to implement the sequential decision-making process of dynamic programming is discussed and compared with early fuzzy dynamic programming. Here, the comparison between two alternatives is made considering not only the cumulative performance but also the cumulative risk associated with previous steps in the dynamic process, displaying the traceability of the solution under construction as it is effectively the case with the classical deterministic dynamic programming process. The proposed approach is illustrated in the case of a long-term airport investment planning problem. While deterministic optimization problems are formulated with known parameters, very often real-world problems include unknown parameters (Delgado et al., 1987). When the parameters are only known to remain within given bounds, one way to tackle such problems is through robust optimization (Ben-Tal et al., 2009). When probability distributions are available for their values, stochastic optimization techniques (Ruszczynski et al., 2003) may be used to provide the most expected feasible solution. An intermediate approach adopting the fuzzy formalism to represent the parameter uncertainties has been also developed (Zimmermann, 1986). These three approaches lead in general to cumbersome computations. Also, in many situations the optimal solution cannot be applied exactly according to implementation constraints which have not been considered explicitly in the formulation of the problem. In that case post optimization sensibility analysis (Gal et al., 1997) resulting often in an important computational effort must be performed.